Colour A-Boards are a great low-cost way to display your messages. 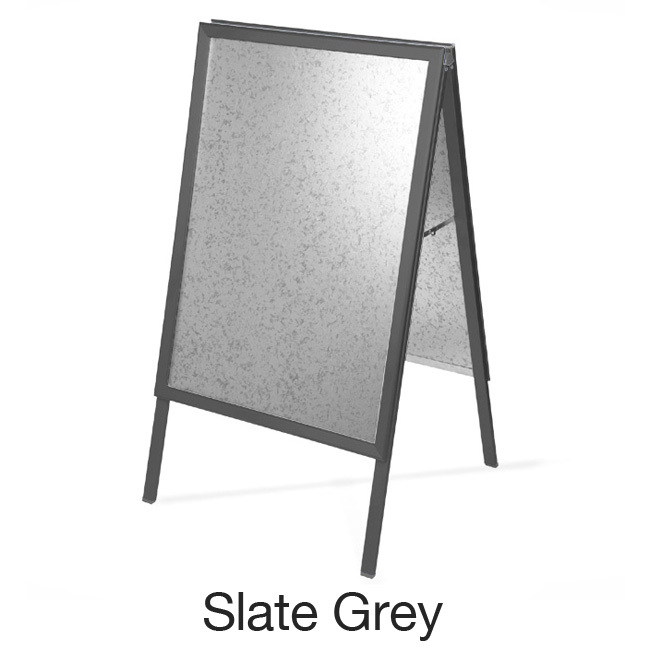 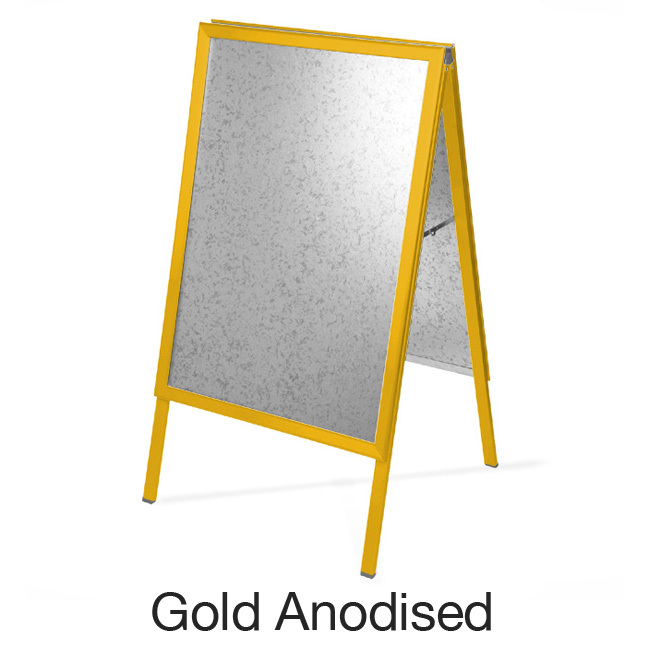 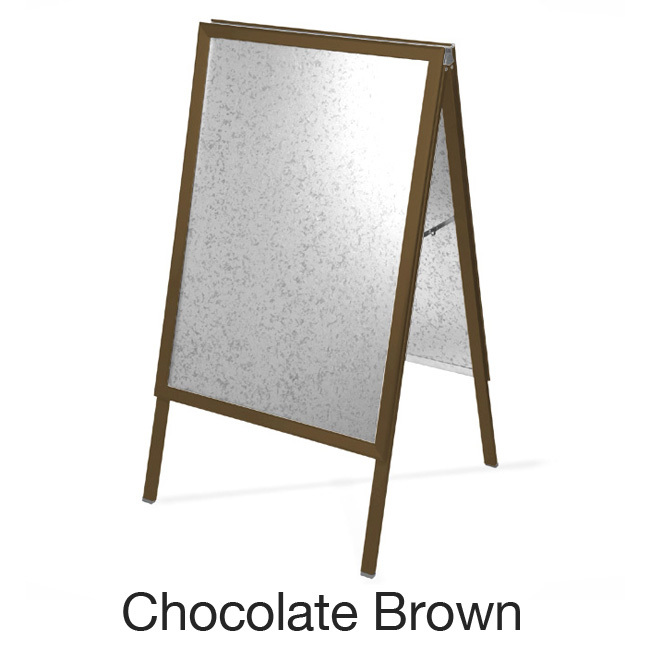 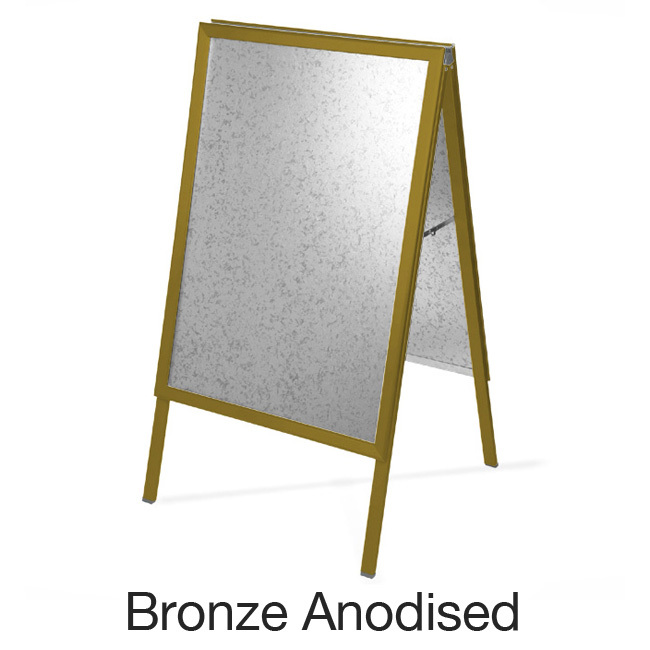 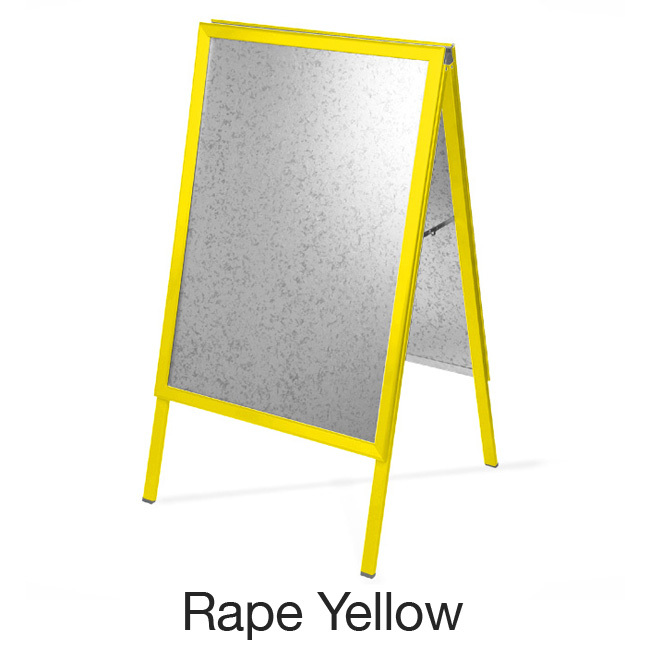 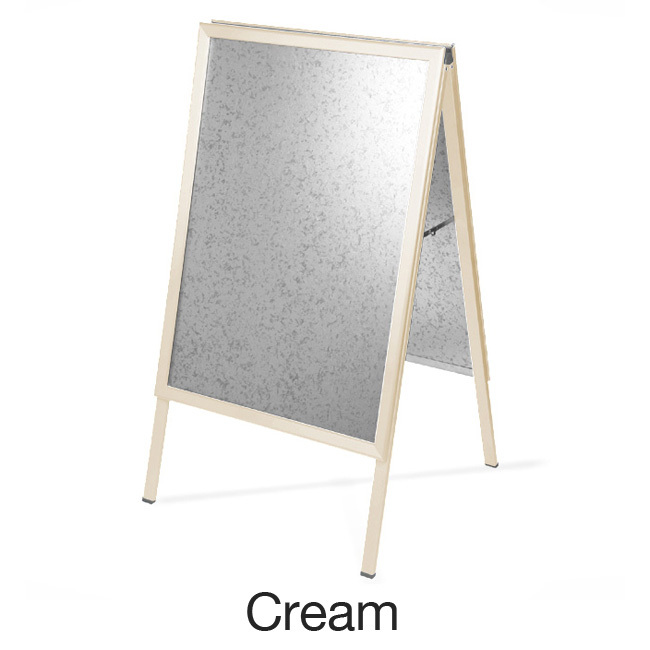 Available in 12 powder coated and 3 anodised colours, these A-Boards* incorporate a snap open and close frame system for quick and easy poster changes. 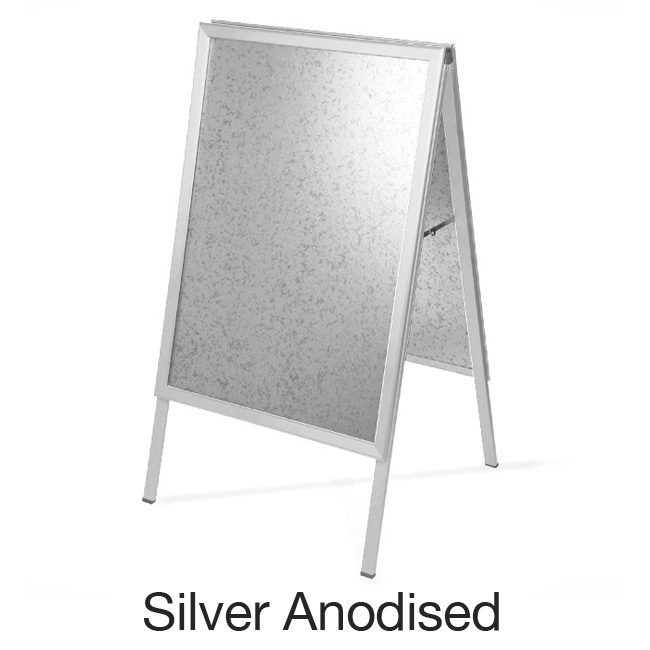 The strong aluminium and steel construction provides great stability, and they fold away easily for night time storage. 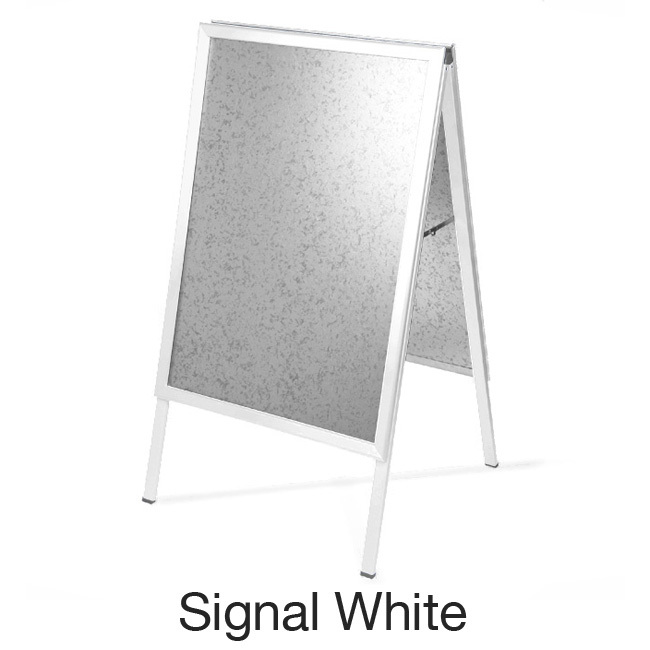 They also come with a 0.5mm anti reflective front, a 0.8mm galvanised steel back panel and feature a heavy duty 32mm extruded aluminium profile.